Mikkel Metal returns to Copenhagen’s Echocord this May with his new mini LP ‘Just Enough Light’, comprising six originals from the Danish artist. Copenhagen based producer and DJ Mikkel Metal has been a beacon of light in the Danish electronic music scene and further afield for nearly two decades now, with the Dub Techno imprint from his hometown, Echocord, being the predominant home for his output, whilst also releasing material on Cologne’s Kompakt, Tartelet, Semantica and Avant Roots, a telling sign of the quality embodied in his work. 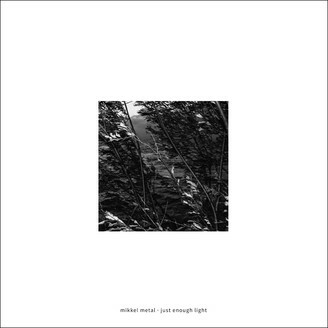 Here though we see Mikkel deliver a mini album concept in the shape of ‘Just Enough Light’ and opener ‘Awake’ perfectly sets the tone with emotive, dynamically unfolding atmospherics, tension building bass drones and spiraling dub chords subtly easing us into the project. ‘Bregnan’ then stirs in some classing Dub-Techno tropes with billowing stab sequences, lumpy subs and off beat high hats carrying the hypnotic groove for six and a half minutes. ‘Jech’ then strips things back to an almost beatless amalgamation of murky chords and modulating synth whirrs. Opening the flip side of the release is ‘Include’ which embraces a brighter feel via ethereal pad swells, jazztinged synth melodies and bumpy 909 rhythms before ‘Konkin’ edges back into the eerie, brooding aesthetic with bubbling echoes, broken drums and menacing bass swells at its core. ‘Restore’ then closes the package on a stripped-back vibe, laying focus on an ever- eveolving singular dub chord to ebb and flow around thunderous subs, kicks and bright hats.